Flat in Figueretes-Platja d´en Bossa. Increible apartamento en playa den bossa. If you are looking for a home in the Figueretes-Platja d´en Bossa, Ibiza district, come to habitaclia.com. 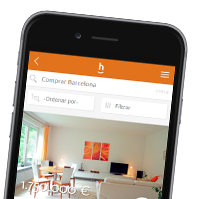 habitaclia.com property portal, the most visited for Ibiza, offers you the best updated selection of homes for the Figueretes-Platja d´en Bossa, Ibiza district.